This column is actually from last month, forgot to re-post it. The original version is here and in the near future I will be posting older columns that no longer exist in print or in Website form. 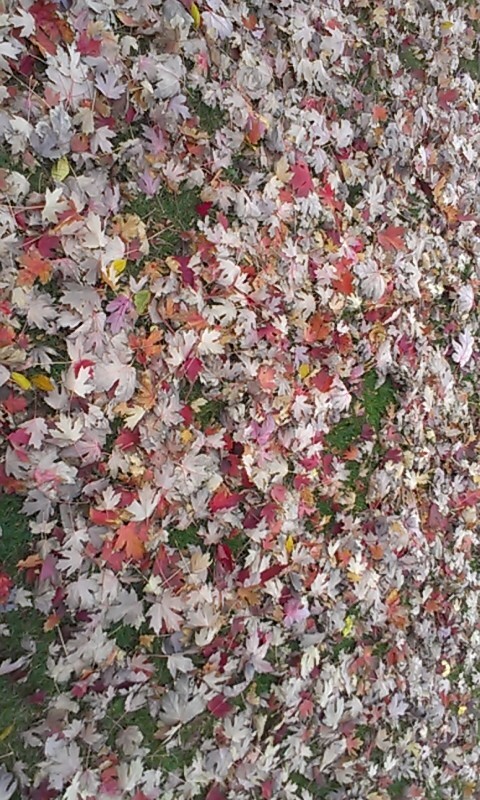 I love the Fall, it has to be my favorite season, even more than the hot and humid days of Summer. Partially it might be because I was a ‘Fall Baby,’ being born towards the end of the month of October. It may also have to do with the fact that the season also includes the holiday of Halloween, which I have adored since I was a child. Where I grew up in the Midwest, Fall is a much more colorful time then it is on the Gulf Coast (although I will take Winter in the Gulf over the snow and ice of the Midwest any day), a time of comfortable weather, falling leaves of all shapes and colors and also as said, being the season of my birth seems to hold a special regard for the season that is now at our doorstep. Fall is also nature’s way of trying to teach us that all things pass, everything ends and loses its life, but with the promise that after Winter is over a new form of that life can also rise again. Dolphin Talk can be found on the web here and please give a second to ‘like’ their Facebook page as well! The kid had to be twice my size and, not knowing that in less than ten years that most people would have to look up to me quite literally as I would stop growing at a tall six feet, five inches, this kid scared the life out of me. The original version of this month’s column went out the window with the tragic events that took place in early July in Dallas, when a sniper opened fire at Dallas police officers during a protest event. Now I am not going to focus on the two most obvious issues that spring from this incident, gun control and racism, because during the four and a half years I have written this column I believe I have made my beliefs known on both those subjects. I would never want to completely abolish an American citizens right to own certain types of firearms and I think I have made it clear as well that hatred of any sort is just not right for me. The topic here is the loss of life, the fact that any man thinks he can peer into the soul of another and take away the lives of innocent people. It is one thing to believe in a cause or to be able to exercise your right to freedom of speech, it is quite another when an individual’s twisted sense of the cause he supports leads to murder and chaos. 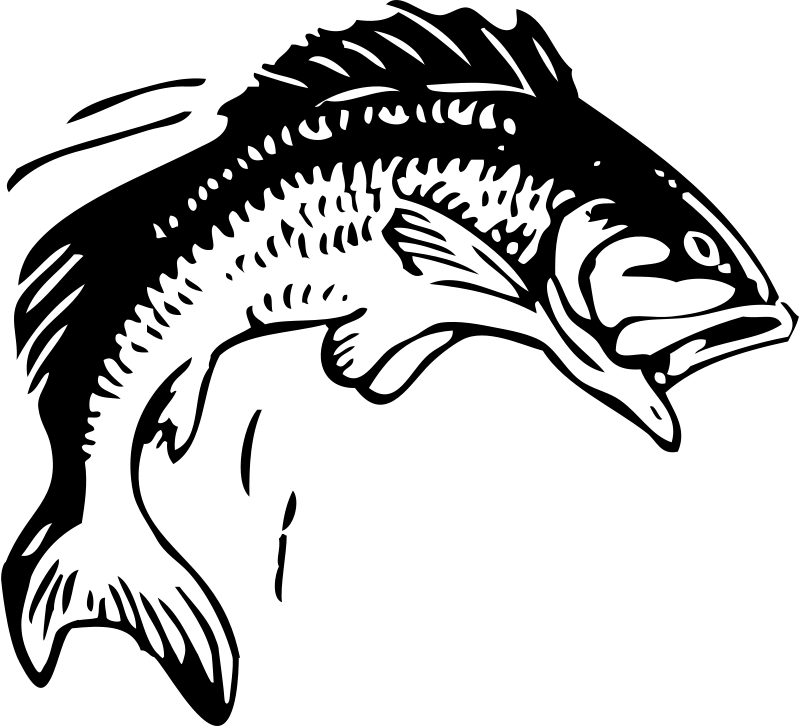 My most recent Fish Out of Water column for the Dolphin Talk Newspaper out of Seadrift, Texas. 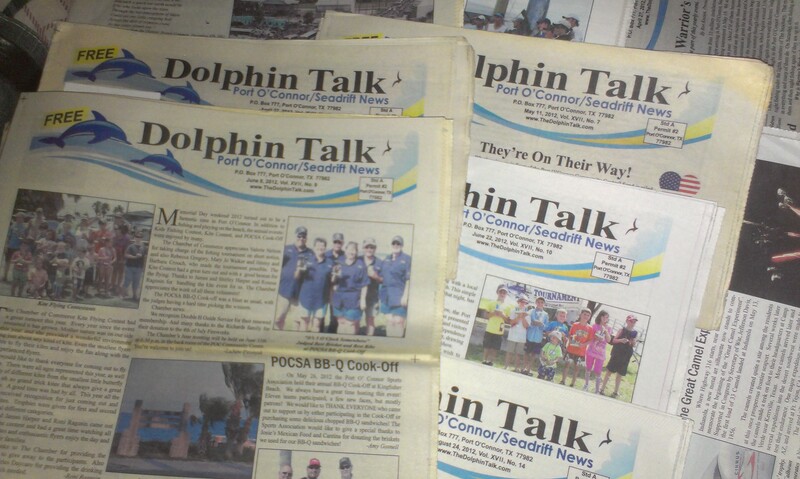 Please support the Dolphin Talk newspaper by checking out their homepage and by liking them on Facebook. It has been one year since I started to write my Fish Out of Water column for the Dolphin Talk Paper out of Seadrift, Texas. So for the upcoming column I wrote about how it felt to be kind of thrown into the fire of reporting right around this time last year. “It was a cloudy day that threatened to drop rain out of the sky, and little drops could be seen on the folding chairs lined up in the middle of Main Street, which was blocked off to vehicle traffic for the dedication. I had spent the day before at Wal-Mart of all places, trying desperately to find a shirt that looked professional. I was not out of my depth, but I was definitely about to take on another aspect of the craft of writing, head on. “Recently I was talking to a friend I have known for years who is a visual artist. We were chatting about the kind of things people probably think artsy people talk about when eventually we touched on how some people can turn their talent into power trips. I quickly related this to how I felt about reporting for the paper. Although it was fun to be able to walk up to people and interview them and arrange and take photos to appear alongside the text, it was never a power trip to be able to do so. Rather it was one of the best feelings in the universe, to be doing what you loved and being respected for it to boot. To a man who at times in his past thought he would never be able to get anything out there due to a past of troubles, it was like a dream. I will try and remember to place a URL in this spot to the rest of the column once it is published. 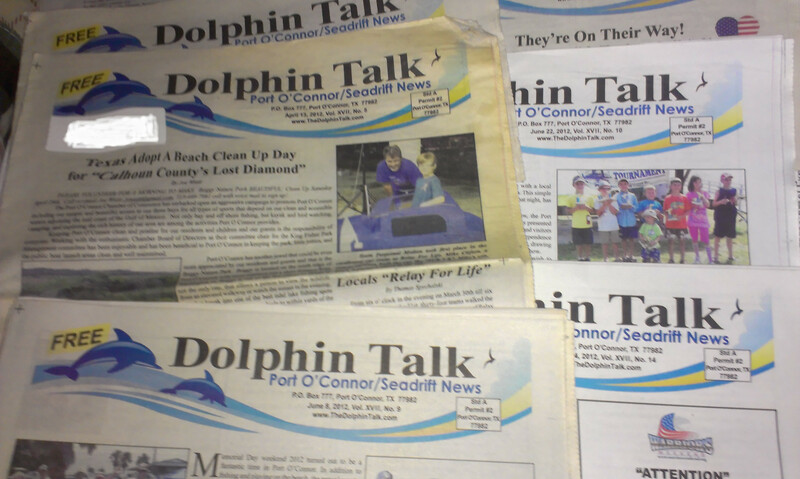 You are currently browsing the archives for the Dolphin Talk Newspaper category.